The following was sent to me from new Unity Gardens board member, Jill LaFountain. I asked her to describe "why Unity". Her response requires no further introduction! 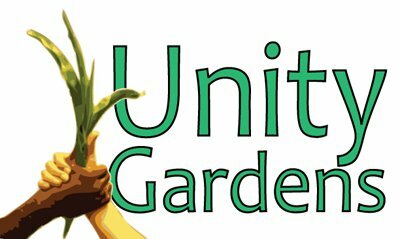 I am thankful to be joining the Unity Gardens Board of Directors. I first became acquainted with the Unity Gardens while volunteering one afternoon at the Potawatomi Conservatories. It was then I met Mitch and Sara. Both had such a passion for gardening. I was fascinated by their energy and excitement for gardening. As I talked more with them I realized their idea of gardening was not the same as mine. I thought they were passionate about dirt, seeds, plants and harvesting in the literal sense. But after talking with them I soon realized the Unity Gardens was about more than the food produced by the Unity Gardens. It is about something much bigger, it is about community, pride, planting seeds of hope,and harvesting good things from each individual. We find value in ourselves, our neighborhood and our community. It hit me like a ton of bricks and I knew this is something that is a vital need in our community. One seed has all the potential in the world to grow and feed a community. For centuries gatherings around food is a worldwide ritual. From the smallest of homes to the largest castles, people gather together to share a meal. Food brings people together. The Unity Garden brings fellowship to our community on a daily basis while filling the most basic needs every human has to live. Food for our bellies and food for our souls. Indeed, Unity Gardens slogan, "Seed more, feed more" is a powerful statement. My name is Jill La Fountain. 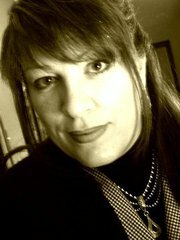 I am a wife, mom and community servant. I am humbled as I look forward to serving with my friends at the Unity Gardens.